There are good opportunities for undergraduates at the University of Helsinki who are interested in topics related to our research to get involved and do their projects or training with our research group. Read through these pages and get in touch with the group member whose project sounds interesting to you or arrange a meeting. Informal fortnightly meetings to discuss interesting articles in plant science. Discussions are arranged online through the course website on moodle. Usually a small group of up to 10 students choose and discuss new articles from the scientific literature. 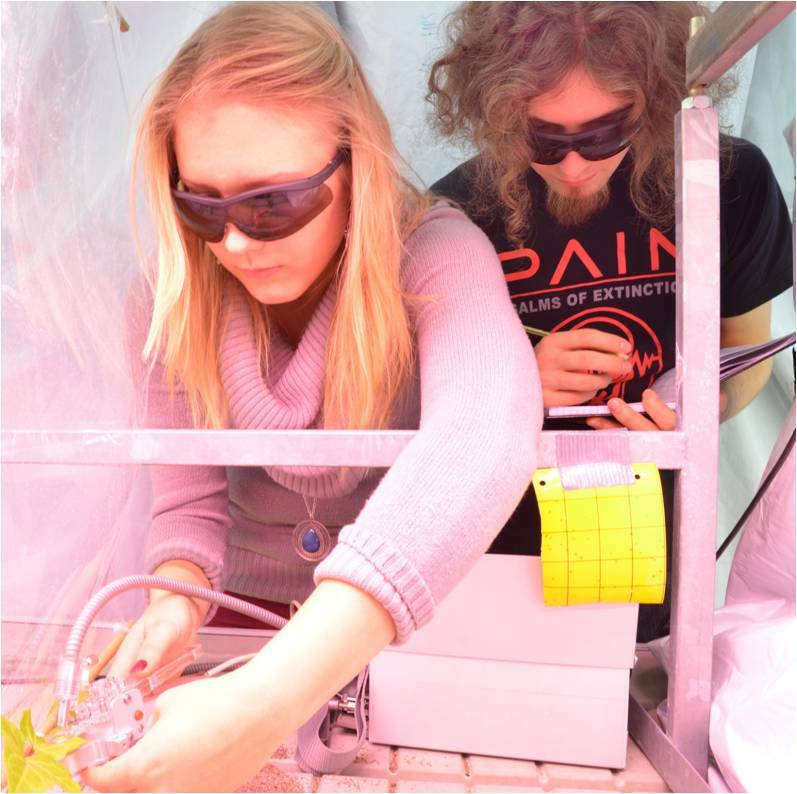 The aim is to broaden knowledge of plant science and foster interactions among graduate students, and generate debate between students, group leaders and post docs in the Plant Biology Division. The paper2read blog managed by the SenPEP and CanSEE research groups is a useful resource identifying the most interesting new research published in plant physiological ecology. You can also check out the blog in the RSS feed on the main page of our group website. This course is taught each autumn, sometimes by Pedro Aphalo and with some lectures by Matthew Robson, and is appropriate for students interested from Plant Biology, Plant Production Science, Agriculture and Forestry. Particular emphasis is placed on Plant Sensory Ecology and Plant Communication as well as the traditional themes of ecophysiology (i.e. gas exchange, water relations, and mineral nutrition). a relatively small group of students allows for extensive in-class discussion, thematic debates and student presentations. The course is good revision for Master’s and PhD students who need this knowledge for their projects, but will be most useful for undergraduates towards the end of their studies. This course is taught each spring by Pedro Aphalo & Matthew Robson. Ecosystem ecology is an interdisciplinary topic requiring a basic understanding of ecology, biology, geography, and meteorology. The course leads students from the foundations of ecology, through to the cutting edge of research into climate change and ecosystem processes and service. Students are encouraged to participate actively in the classes through discussion, presentations and debates. The course is good revision for Master’s and PhD students who need this knowledge for their projects, but will be most useful for undergraduates towards the end of their studies. Further information on all three University of Helsinki courses can be found in WedOodi and Moodle. Using R for reproducable data analysis. A taster for this course was taught as a training school for students in the COST Action uv4 growth and again at the uvplants meeting Pecs by Matthew Robson and Pedro Aphalo.